Reliance Centre is an industrial park with various sizes of factories or warehouses to let. 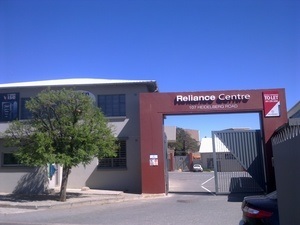 This industrial park is situated on Heidelberg Road in City Deep in close proximity to Johannesburg CBD. Easy access from the M2 motorway onto Heidelberg Road makes this industrial park a desired destination for tenants who are looking for industrial space to rent. These mini-factories or warehouses have a mini office, roller-shutter doors and bathroom facilities. Reliance Centre has 24 hours security and access control.